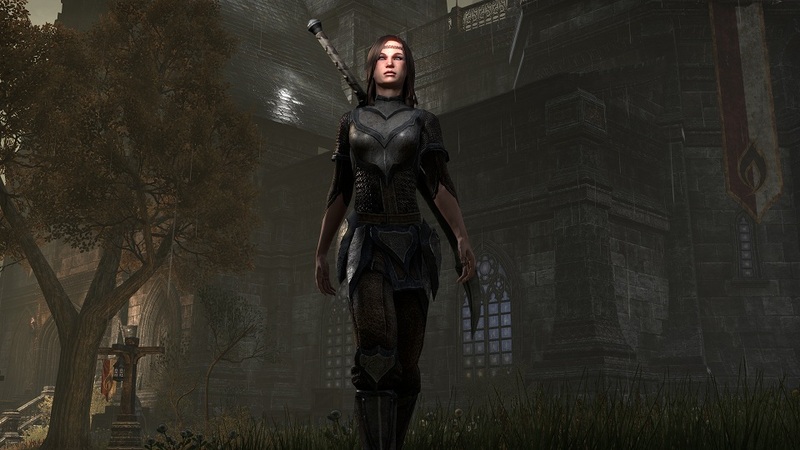 There are few series in gaming as prolific and well-regarded as The Elder Scrolls. Instead of drowning the market in sequels and forcing new entries down our throats, Bethesda has taken the high road and reserved each new game release for occasions that can only be described as legendary. Hype surrounds each new entry in the immersive roleplaying series for years leading up to its release and people continue to talk about each title for years afterwards. Big games, in a big series, by a big company. Now, enter The Elder Scrolls Online. At QuakeCon 2013 I got the chance to sit down behind closed doors (well okay, they were cracked) and play the game for over two full hours. 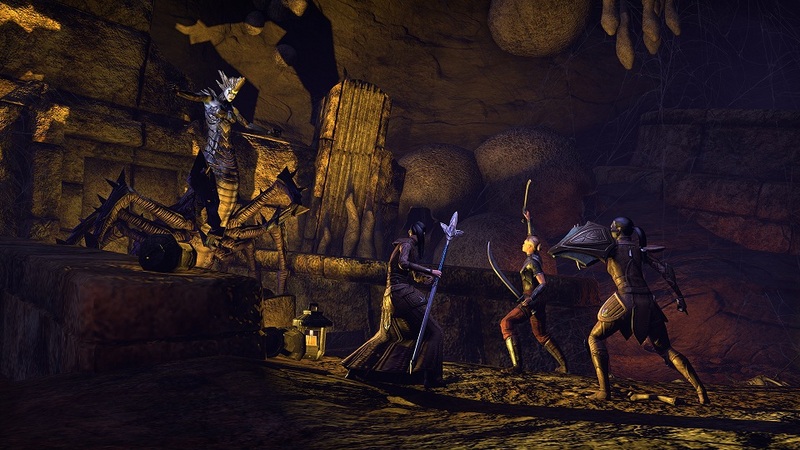 It’s the game that everyone wanted, but no one really thought would ever happen – TESO is coming. By Elder Scrolls standards, it’s only been a short while since the last installment, even though it’s coming up on two full years. With The Elder Scrolls Online, gamers get the chance to return to Tamriel in a fully-fledged brand new entry in the series…sort of. The game, first of all, doesn’t move the timeline foreword in terms of chronology as it takes place 1000 prior to the events in Skyrim, just before the rise of Tiber Septim, the first Emperor of Tamriel. This means that dragons won’t be in the game, so you can rest assured there should be a severe drought of “Fus Roh Dah” parodies this time around, hopefully. However, this is not necessarily a bad thing. Because of the setting and time period, the capital province, Cyrodiil, is at war and there should be lots of epic and intense player-versus-player shenanigans for everyone to partake in. In addition to Cyrodiil once a character hits level 10, players can also journey across the ash-ridden hills of Morrowind, the icy snow-tops of Skyrim, as well as the rest of Tamriel. Some provinces will be limited at launch, but the possibility for expansions and additional content post release is mind boggling. Never before has a game world been so fully realized and rich with lore, prior to its becoming an MMO. 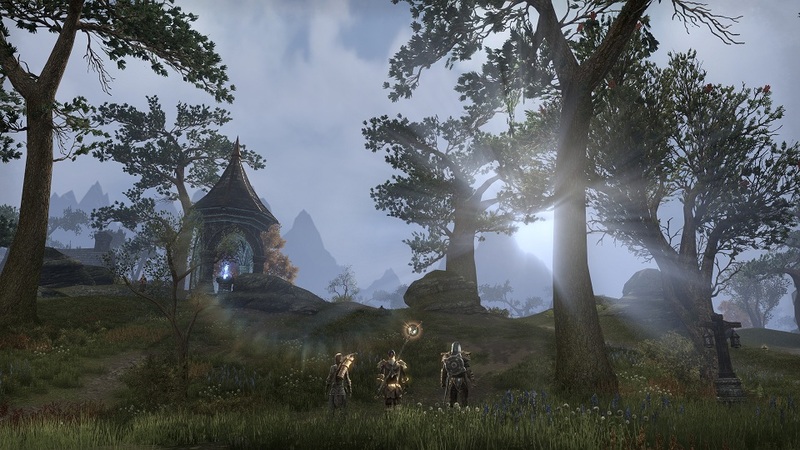 Usually, the MMO is where the expansion and deep investigations into the backstory and regions takes place, but this time, The Elder Scrolls Online is entering into familiar territory. Except, it’s not really THAT familiar. Since the game takes place in a different era than what any player is previously used to, even places like Skyrim, Cyrodiil and Morrowind that are fresh in gamers minds will look and feel different. My time with the game was split into two very distinct chunks. First, I, along with the rest of the public audience, watched devs play through about 30 minutes of content during a live presentation. Everyone was level 15 or 16 during this demonstration, with clearly defined characters and abilities. The character with the camera focused on them stayed in the background dealing damage from afar with a mixture of his bow and different spells. Gameplay looked very similar to Skyrim – which is great news. Other characters in the vicinity ranged from dual-wielders, to sword-and-board warriors and even mages focused on healing. The entire gamut of gameplay styles looks to be represented here and it looks exhilirating, fast-paced and fun to play in higher levels. Fast forward to later on that afternoon and I got to check out the game for myself for a full two-hour play session that started all the way at character creation. I wasn’t permitted to choose from all the different races, only a select few, so I opted to go with the Dunmer (dark elves) in anticipation of my return to my people’s native land of Morrowind. Once I explored the extensive (much more so than Skyrim, at least) character customization and picked my archetype (determines general skill progression and abilities available) I set out into the world. While playing, I could never really decide between sword-and-board, two-handed or ranged, so I just ended up switching throughout my preview to get a feel for all the different playstyles. Quick swapping to a second set wasn’t available until level 15 or so, and I only got to level 5 by the end of the preview, so I spent a decent amount of time in the menus. Everything is auto-sorted into different types, like any good TES game should be and it wasn’t too cumbersome to navigate, but it still didn’t feel as fluid as most MMOs. Quests consisted of your standard MMO fare, ranging from “gather x item by killing x creatures” to “talk to this NPC and come back and tell me what they said,” so none of that really stood out at all. However, I was really impressed with all of the voice acting, as the dialogue in the game is fully voiced – not unheard of for MMOs, but still good to know. Hopefully once the game is more polished and more content is added, quests will feel more developed and engaging. I liked all of the seemingly “random” events that popped up in the wilderness (NPCs running from creatures, getting stranded and needing help) but I wonder just how scripted those events really were. The game is very much a Massively Multiplayer Online Game, not just a co-op adventure full of instanced areas, there are lots of persistent zones. All of the races you expect will be in the game at launch. All of the provinces will be in the game, but they may not be fully explorable at launch. No definitive list on this yet. This is not Skyrim Online, while Skyrim is clearly a major area, it is not the primary focus and plenty of other regions are represented in full as well. First-person gameplay is fully realized and features complete animations – no blank zoomed in views. You do not have complete and total freedom. Don’t expect to murder NPCs willy-nilly and knock over table toppings. You can change your weapons, armor, etc at any time regardless of race, class, etc. Skills are categorized based on class archetype, weapon set and racial trees. There are tons to pick from and develop.